One thing that consistently gets up my nose is the abuse of words to describe the status of a car. Urban myths have sprung up around unchallenged claims. So forgive me if I devote a little minute to three indiscretions that take serious liberty with words. First up is the term ‘new’ (it drives me mad). A car gets a new lick of paint and a few bits of spec and all of a sudden it is the ‘all-new’ X. It’s not; it’s the ‘revised’ X. ‘All-new’ denotes a totally different car from the ground up. Just watch for that when, or if, you’re buying in the new year. Second is ‘electric’. It has been bandied about like promises during an election. Some time back Volvo, for example, got global credit for claiming at least one model in every segment of their range would be ‘electrified’ within a few years. Everyone went mad thinking it was going full ‘electric’ and Volvo got mega ‘green’ publicity. The truth is they will have a model for each segment that will have a car aided and abetted in some way by battery power (hybrid, plug-in, etc) but they won’t be ‘pure’ electric. And then there is the ‘mild hybrid’. This is NOT a hybrid. It is a system that aids and abets the engine on start-up and when cruising. It is claimed to lower fuel consumption: so it’s a Santa’s Little Helper rather than a reindeer pulling the sleigh. 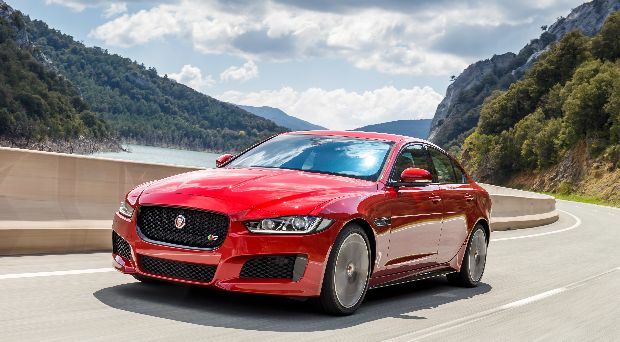 These distinctions – and many others I won’t weary you with this week – are going to become more important as increasing numbers of ‘electrified’ cars hit our showrooms. This week’s review car, the ‘revised’ Mercedes C-Class gets a ‘mild hybrid’ system as part of its update. In fairness to Mercedes, they are not claiming ‘all new’ or ‘electric’ by any means. They are merely stating there is a ‘mild hybrid’ working away under the bonnet of a revised car. The revision involved several changes inside and out. I didn’t pass much remarks at first. It was only when I saw the previous model alongside the revised one that the extent of update emerged. The car looks a good deal better; it gets more equipment, too and with a few additions of comfort is an all-round smarter proposition. I loved the ‘diamond’ grille. 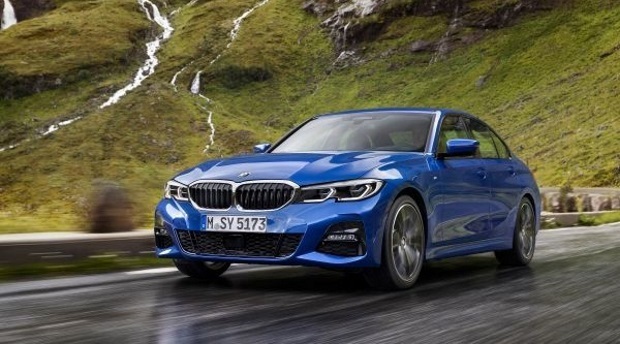 Its arrival could hardly be more timely because I’ve just been driving the new (proper ‘new’ from the ground up) BMW 3-series which arrives here in March. It has a wonderful cabin now compared with the old one. I still think the Merc’s shades it, but if there was need to justify the latter’s revision and update, the Beemer certainly provides it. The C-Class is good but still does not beat the new Beemer on handling and ride (I need to get the 3-series to Ireland to establish that for absolute certain). It has been a decent drive for some time without being a world beater. Nicely balanced, I’d say. What was interesting about my test car was the presence of a 1.5-litre petrol engine under the bonnet. There are diesels in the range, of course, but I get the distinct feeling the distributors are pushing the petrol big time – in line with many who see the balance of buying shifting quite dramatically away from the once madly-popular fuel. I’ve reported on this 1.5-litre petrol before and not in the most glowing of terms when it came to start-up noise, acceleration and higher speeds. That was in the C-Class Coupé; it irked a bit. 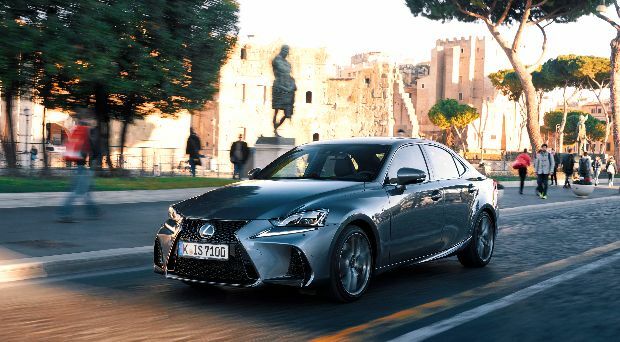 Funnily enough – and it just goes to show you how subjective some things can be – I didn’t feel nearly as strongly about it in the saloon on this recent test. Maybe my expectations weren’t tuned to as a high a frequency, but I thought it was okay. Still a little bit off centre on quietness but a couple of passengers thought there was a sporty sound to it. These things are such a matter of individual taste. One thing is for sure: with or without its mild hybrid, it impressed on acceleration, especially in the 40-60kmh range where one does a lot of driving. It was quick off the mark too and this time felt faster. For all that I have to point to the road tax figure of €390. As is the case with a lot of smaller petrol engines – not all by any means – the move from diesel can involve a step up on the tax front. Often by €200 or more. A pittance to a Merc driver, I hear you say, but you’ll find that those who can afford such a car are the very ones who notice things like that when making their decision. They mind the cents and the euro look after themselves. The same principle applies to words such as ‘new’ and ‘hybrid’ and ‘electric’ – know the true value of each. C200 AMG Line 9spd auto, 1,497cc petrol, 184bhp, 6/6.3l/100kmh; 144g/km, €390 road tax. 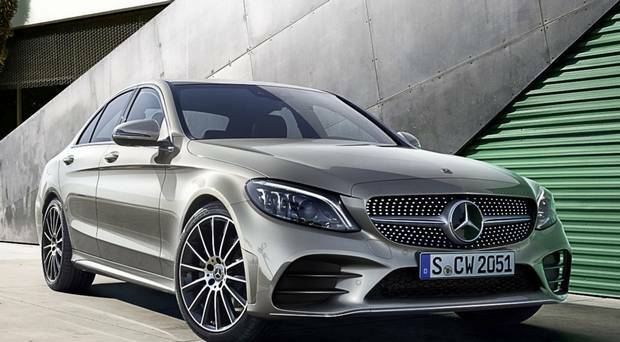 Spec includes AMG Line styling, diamond radiator grille, heated front sport seats, perforated front brake disks, LED headlights, reversing camera, sport suspension, Artico upholstery. Options include: 19ins alloys, 10.25ins display. Price: €44,025. With extras: €55,080. A highly impressive compact, rear-wheel drive executive saloon. Competes admirably with its German rivals. Great looking compact executive saloon, an opportunity to pick something other than the dominant German saloons. 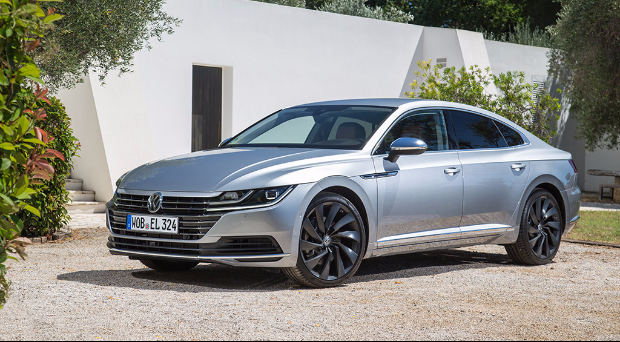 The Arteon is a premium five-seat fastback sitting above the Passat in the VW line-up.